Whenever there’s a new kid on the block, those who already live there are bound to notice. But despite the upcoming arrival of the Keurig Kold (yes, that’s what it’s called), which makes colas and sodas, SodaStream’s CEO isn’t worried about the competition moving in on the company’s turf. At a conference sponsored by Beverage Digest today, CEO Daniel Birnbaum says Keurig’s new machine is mostly for making colas and other sodas, reports Bloomberg. But, he points out, about 60% of SodaStream’s customers only use its products to make bubbly, carbonated water, and only 7% use it just for making sodas. Instead of pitting itself against soda companies like Coca-Cola and PepsiCo, SodaStream is now focusing on sparkling water. To achieve that, the company is debuting 50 new SodaStream water flavors in August. In the meantime, SodaStream could be moving in on Keurig’s coffee territory with a new hot-and-cold beverage machine of its own called Ultimate by SodaStream. Unlike Keurig machines, the Ultimate can produce larger servings as well as single-servings of the chosen beverage. Price will also likely factor in for shoppers: Keurig Kold is slated to hit store shelves and online stores this fall ahead of a bigger rollout in 2016, and is expected to be priced between $299 and $369. 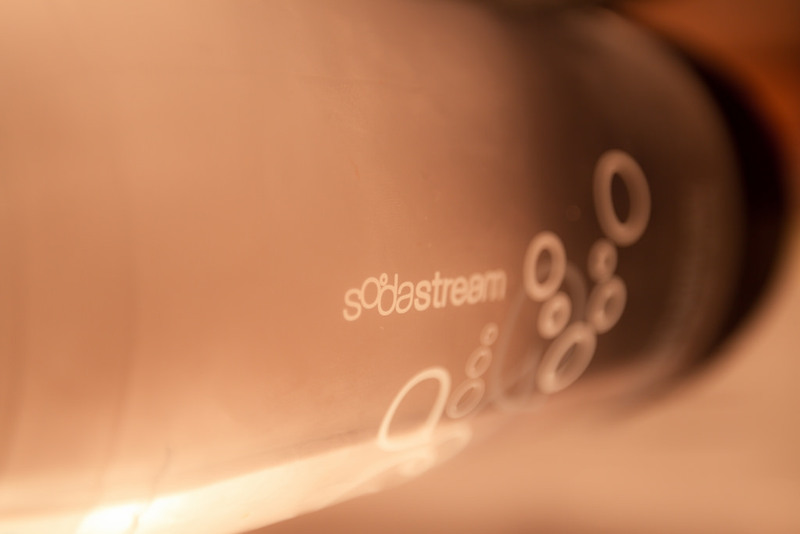 The SodaStream typically goes for about $80 to $200, depending on the model.